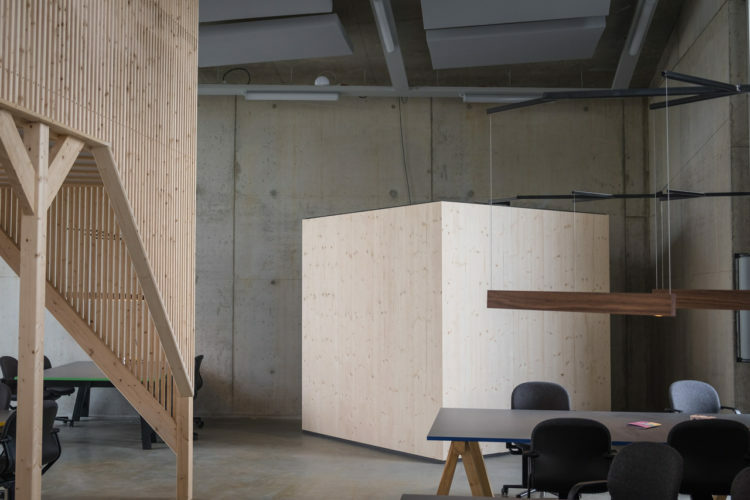 Hafven’s team considers its premises to be a work in progress; a second storey of the co-working and makers’ space in Hanover has now been fitted out. Forty new workspaces have been added to the second storey over the café. 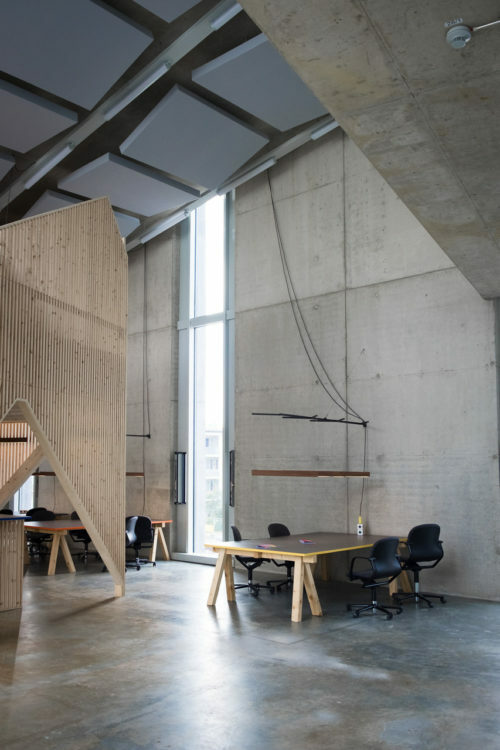 In addition to traditional desk-based spaces at large tables for up to four people, the large hall also has two room-in-room solutions. 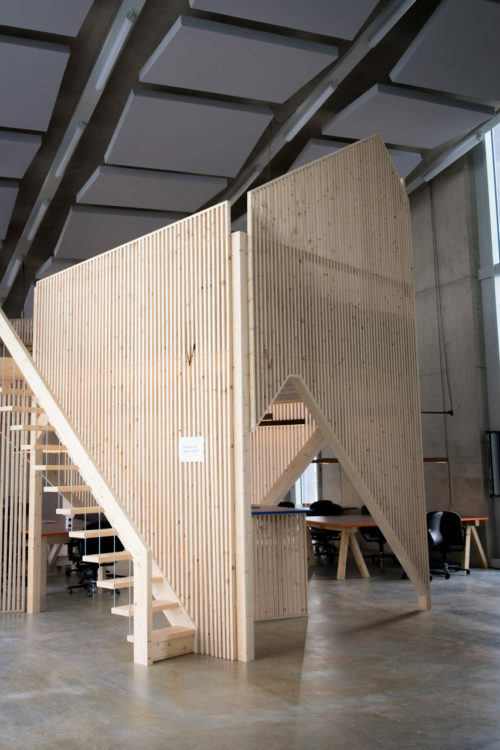 The two examples of microarchitecture, created by Hafven’s design team and produced in the in-house makers’ space, serve different purposes: while the tower-like partitions feature seating and loungers, creating an open-plan space to withdraw to in the large hall, the “box” at the far corner of the room offers an enclosed space to retreat to if people need to concentrate, hold small meetings or make phone calls in peace. In terms of acoustics, the box is separate from the large hall and soundproofed. 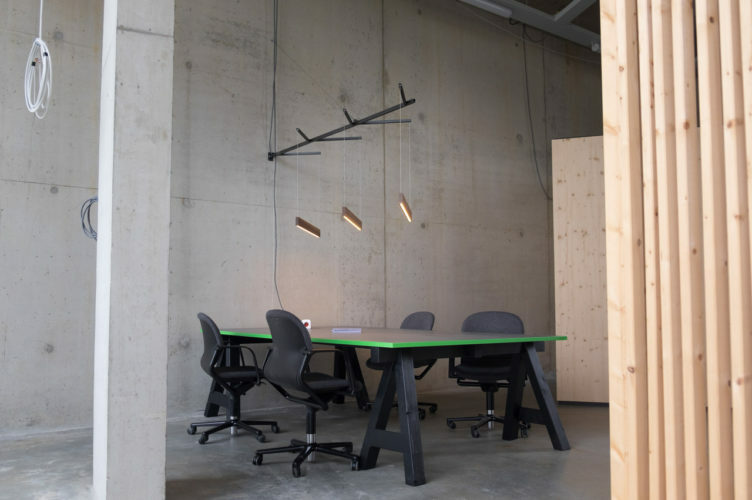 Similarly to the other workspaces, the creatives at Hafven have picked Wilkhahn’s task chairs for this area too: in addition to the three-dimensional IN models with Trimension, it’s the virtually indestructible task chair classics from the FS-Line that prove their worth in the co-working space. Wilkhahn’s sitting-standing hybrids called Stitz, its stackable Aline-S chairs and Confair flip-top tables are also used in the conference areas of the building which was designed by Mensing Timofticiuc Architects (Berlin).